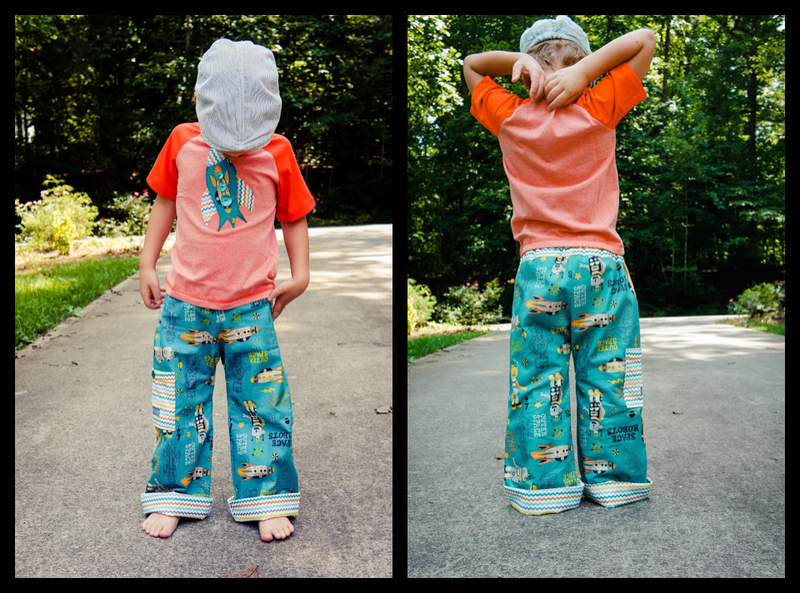 I goofed and put the wrong pocket style (OLLIE) on these JUDE BASIC pants but they turned out so cute I wish I could have kept them. Instead they are on their way to a different little man. Hope he loves these as much as my little guy did! 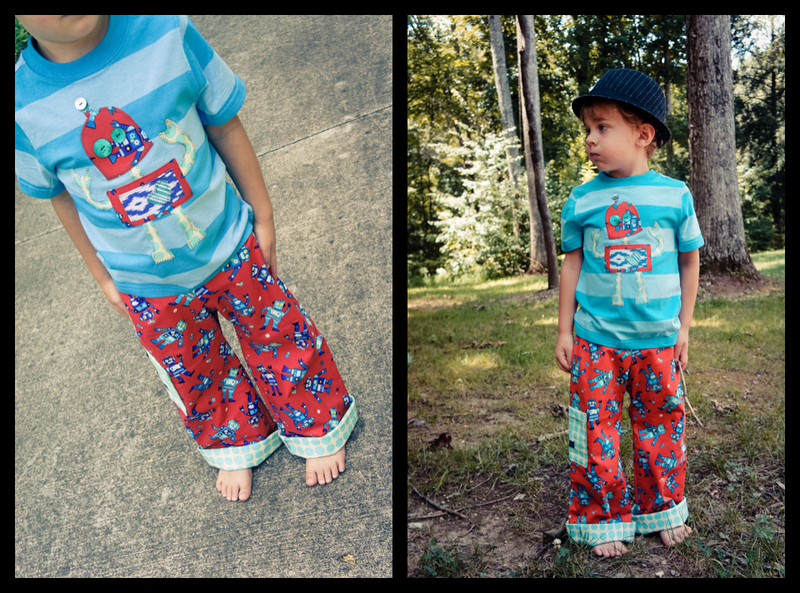 & about those bright colored shirts – – Yumm-O! 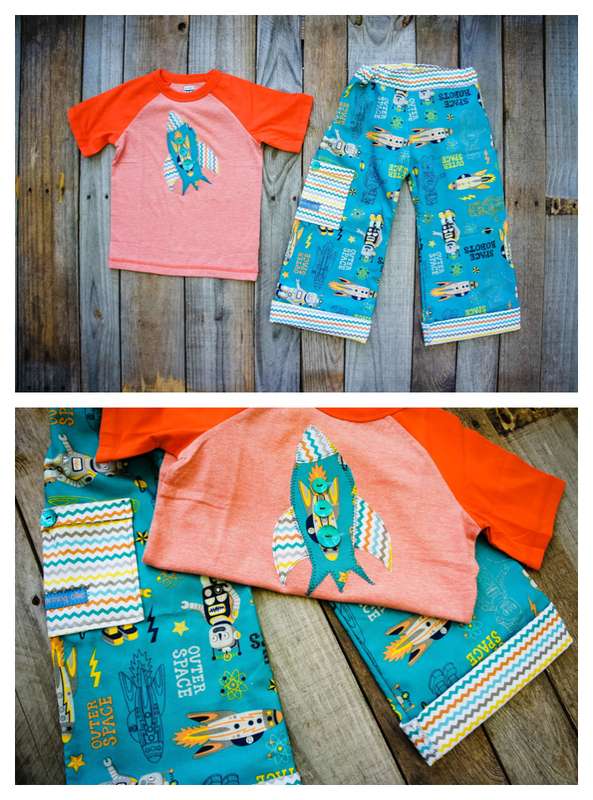 I love when I get to put appliqués on fun colors… They really add to these Jude Basic Sets, don’t you think? 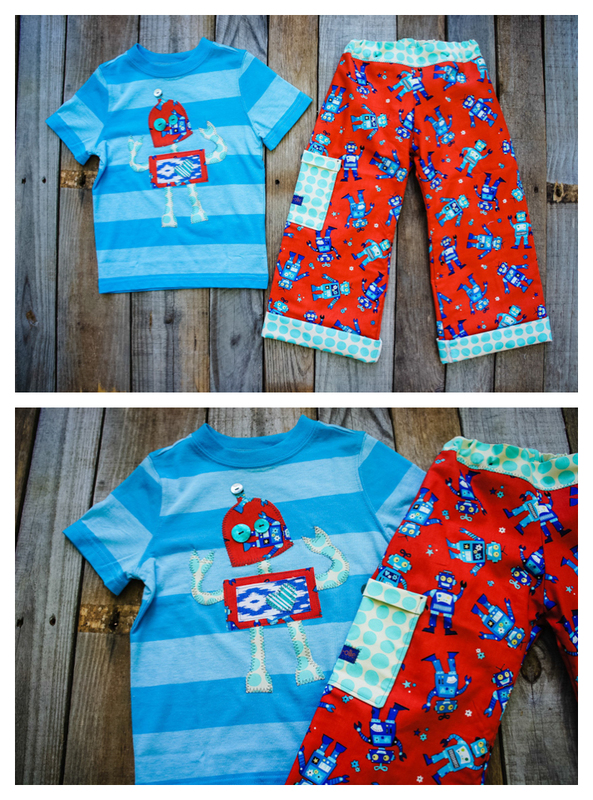 This entry was posted in Cooking, Little People and tagged adjustable waist, appliques, charming-ollie, cuff, jude, pants, robot, rocket, set. Bookmark the permalink.